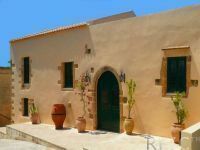 The Old Olive Mill was originally constructed during the latter part of the Venetian occupation of Crete (1204 - 1669), than later during the Ottoman/Turkish occupation (1669 to 1898) it was used exclusively for olive oil production between. Between 1941 and 1945 The Mill was used as a 'store' by the occupying German forces. 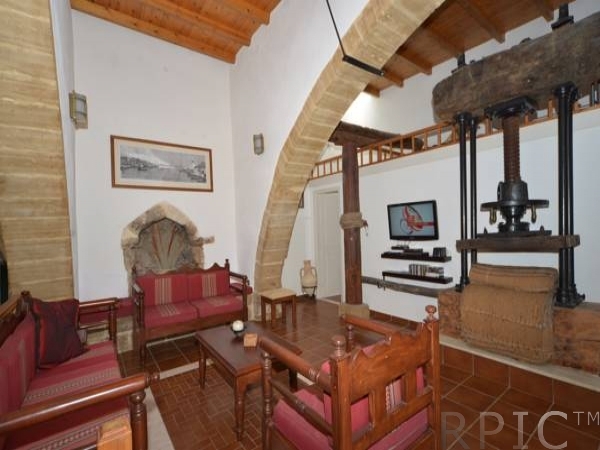 Now it is The Mill was extended during the Ottoman/Turkish occupation (1669 to 1898), and was used exclusively for olive oil production between c.1850 and 1941. 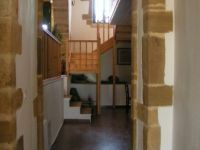 Between 1941 and 1945 The Mill was used as a 'store' by the occupying German forces. 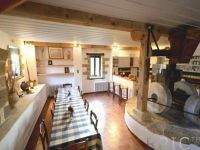 The Living area at The Mill comprises a sitting area, dining area and Kitchen, positioned around the original Venetian millstones. 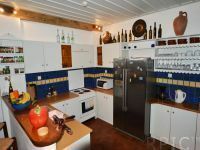 The kitchen is fully equipped kitchen complete with American style fridge/freezer and integral ice making facility and microwave. 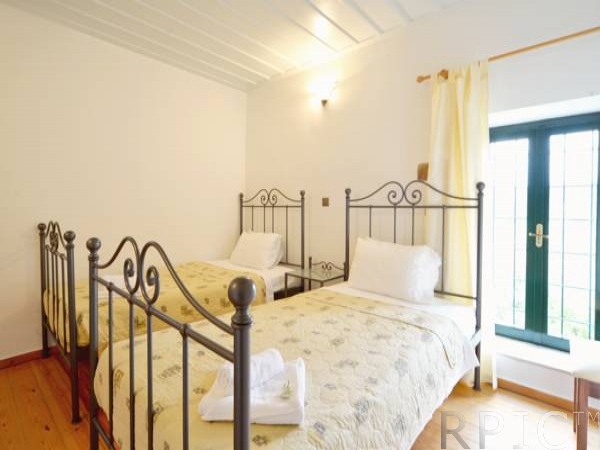 For your comfort there are two triple en-suite bedrooms on the rear Ground Floor and twin en-suite bedroom and one more double en-suite bedroom located on the upper level. 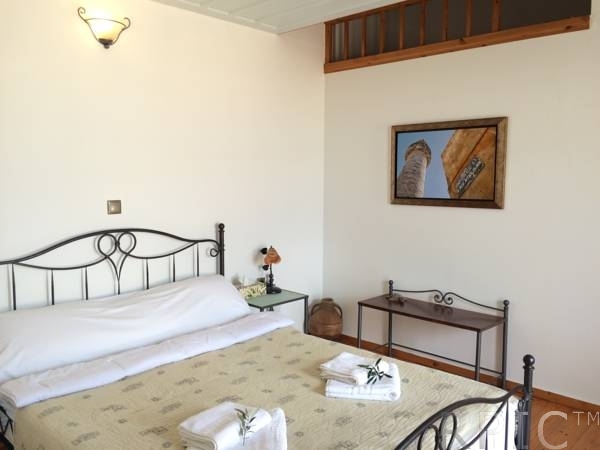 The Double Bedroom on the upper level has its own private terrace with stunning views of the Bay of Hania. 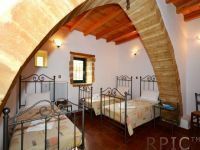 All beds are purpose made, and of traditional Cretan design, to comply with the requirements of the local Archaeological Dept. 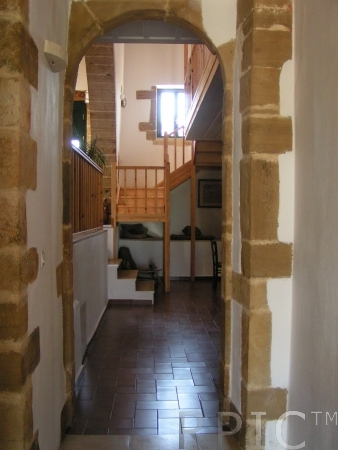 All spaces of the Old olive mill have it own history which we will be happy to tell you. 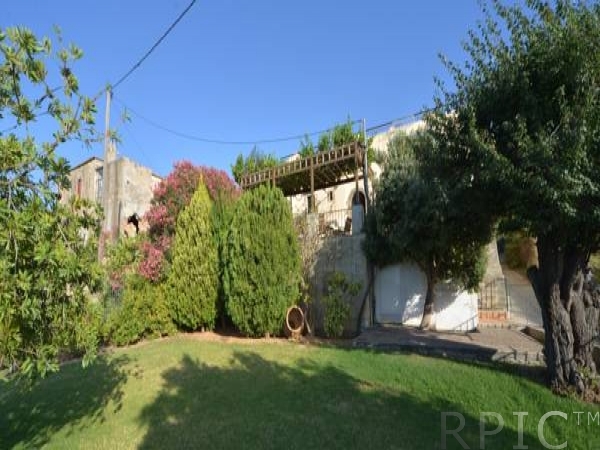 On the north side of The Mill the Pergola covered terrace leads to a beautiful garden. 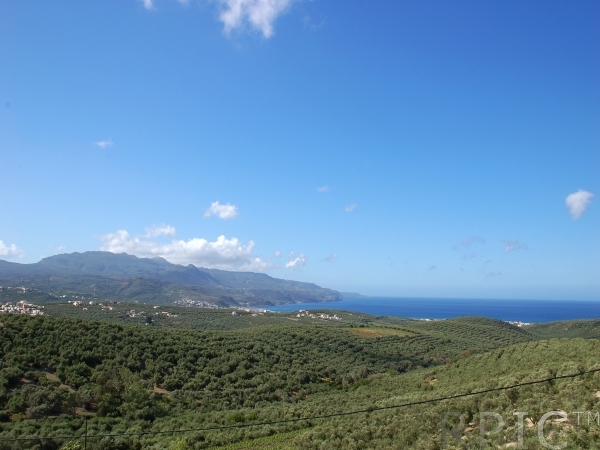 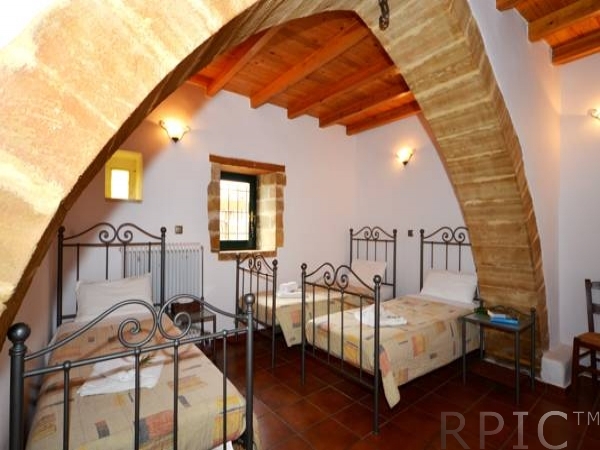 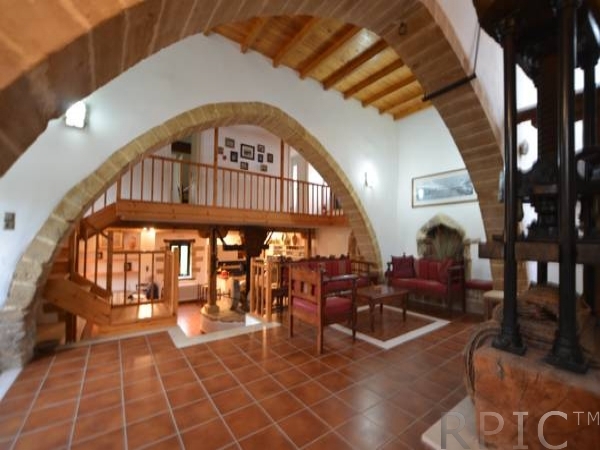 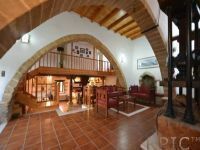 The Mill is in an elevated location surrounded by a swathe of olive groves. 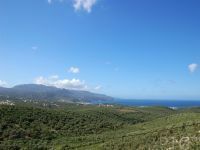 Local amenities including mini-markets, a baker, tavernas, pharmacy, garage and the like are available in Tavronitis, less than 10 minutes drive from the Mill. 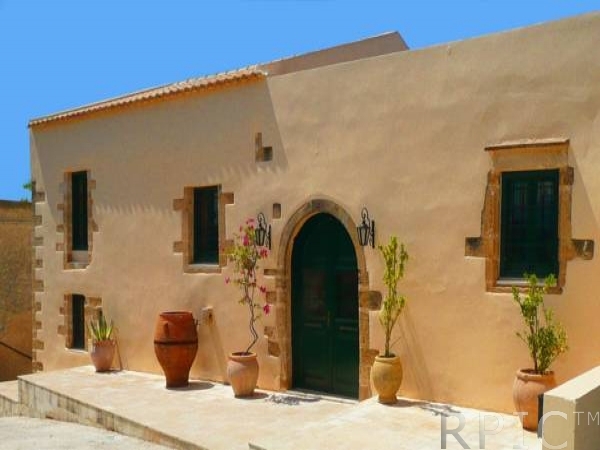 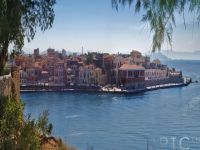 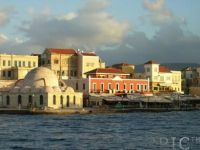 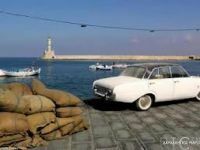 30 minutes from the beautiful Venetian harbour town of Hania.